To reach Changlang district headquarter, Dibrugarh airport and Tinsukia rail station are the nearest points. Assam State Transport Corporation and Arunachal Pradesh State Transport buses ply daily from Dibrugarh to Changlang via Tinsukia and Margherita. Population : 14,641. Altitude : 580 metres above sea level. Temperature (deg C) : Varies from 37°C to 5°C. Rainfall : Varies from 1485 mm to 2508 mm. Clothing: Summer – cottons, Winter – woolen. Languages spoken : Tangsa, Assamese, Hindi, English. Best season : October to April. STD Code : 03808. PIN Code: 792 120. Air: Changlang township is 136 km from the nearest Airport at Mohanbari, Dibrugarh, Assam. Rail: It is 96 km from the nearest long distance Railway station Tinsukia Railway Station, Assam. And 45 km from the nearest Passenger Railway station, Margherita Railway Station, Assam. Road: Good motorable road is connected up to Changlang township. It is 140 km from Dibrugarh, 95 km from Tinsukia, 44 km from Margherita and 110 km from Miao. Deputy Commissioner Changlang District Changlang – 792 120 Arunachal Pradesh, India Phone: +91-3808-222221, Fax: +91-3808-222226. To reach Miao, Dibrugarh airport and Tinsukia rail station are the nearest points. Assam State Transport Corporation and Arunachal Pradesh State Transport buses ply daily from Dibrugarh to Miao via Tinsukia, Margherita, Ledo, Jagun and Kharsang. 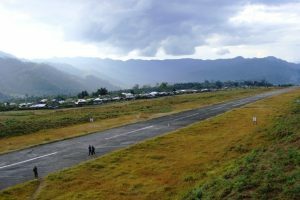 The attractive little township of Miao on the banks of the river Dehing in the Changlang District of Arunachal Pradesh is also a threshold entry for Namdapha National Park. Population : 20,261. Altitude : 213 metres above sea level. Temperature (deg C) : Varies from 40°C to 12°C. Rainfall : Varies from 1485 mm to 2508 mm. Clothing: Summer – cottons, Winter – woolen. Languages spoken : Tangsa, Singpho, Assamese, Hindi, English. Best season : October to April. STD Code : 03807. PIN Code : 792 122. Air: Miao is 156 km from the nearest Airport: at Mohanbari, Dibrugarh, Assam. Rail: It is 115 km from the nearest long distance Railway station, Tinsukia Railway Station, Assam. And 65 km from the nearest Passenger Railway station, Margherita Railway Station, Assam. Road: Good motorable road is connected up to Miao which is also entry point of Namdapha. Miao is 160 km from Dibrugarh, 115 km from Tinsukia, 65 km from Margherita and 110 km from district headquarter Changlang. To reach Vijoynagar, Mohanbari, Dibrugarh airport and Tinsukia rail station are the nearest points. From Dibrugarh or Tinsukia, one can hire private taxi to reach Miao, Arunachal Pradesh nearest town to Vijoynagar. From Miao one can avail Helicopter Sortie services on Tuesday and Thursday only. The Sortie services are irragular and the availability of the services are completely depends on the Weather condition. Viajynagar is accessible only by Helicoper Sorties Service from Miao. There is no road connectivity to Vijaynagar. From Miao, it takes around 5 nights & 6 days to reach Vijoynagar on foot marching or treckking via Namdapha National Park, which the adventure enthusiast can explore. Distance from Miao to Vijoynagar is about 156 Km. Altitude : 4,200 metres above sea level. Temperature (deg C) : Varies from 23°C to 5°C. Rainfall : Varies from 1485 mm to 2508 mm. Clothing: Summer - cottons, woolen; Winter - woolen, warm clothes. Languages spoken : Lisu, Tangsa, Assamese, Nepalese, Hindi, English. Best season : October to April. STD Code : Not available. Miao, Arunachal Pradesh is only threshold entry point for reaching Vijoynagar. Rail: Miao is 115 km from the nearest long distance Railway station, Tinsukia Railway Station, Assam. And 65 km from the nearest Passenger Railway station, Margherita Railway Station, Assam. Road: Good motorable road is connected up to Miao which is also entry point of Vijoynagar. Miao is 160 km from Dibrugarh, 115 km from Tinsukia, 65 km from Margherita and 110 km from district headquarter Changlang. To reach Jairampur, Dibrugarh airport and Tinsukia rail station are the nearest points, and Margherita Railway Station is the nearest local Railway station to Jairampur. Assam State Transport Corporation and Arunachal Pradesh State Transport buses ply daily from Dibrugarh to Jairampur via Tinsukia and Margherita. Altitude : 180 metres above sea level. Temperature (deg C) : Varies from 40°C to 12°C. Clothing: Summer - cottons, Winter - woolen. Languages spoken : Tangsa, Assamese, Hindi, English. Air: Jairampur town is 135 km from the nearest Airport Mohanbari, Dibrugarh, Assam. Rail: It is 96 km from the nearest long distance Railway station, Tinsukia Railway Station, Assam. And 44 km from the nearest Passenger Railway station, Margherita Railway Station, Assam. Road: Good motorable road is connected up to Jairampur town. It is 139 km from Dibrugarh, 94 km from Tinsukia, 44 km from Margherita, 49 km from Miao and 89 km from Changlang. There is no any good hotel in Jairampur township. 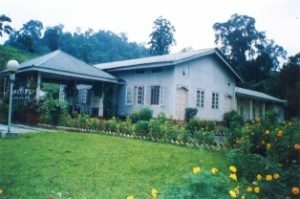 To reach World War II Cemetery, which is at 6 km away from Jairampur township, Dibrugarh airport and Tinsukia rail station are the nearest points, and Margherita Railway Station is the nearest local Railway station to Jairampur. Assam State Transport Corporation and Arunachal Pradesh State Transport buses ply daily from Dibrugarh to Jairampur via Tinsukia, Margherita and Jagun. Date of Construction : During World War II, 1942 - 1945. Number of Graves : About 1000. Area of Cemetery : About 3 Acre. Graves of : Allied Soldiers. Place of Location : Ledo Road (Stilwell Road), Jairampur, Changlang District, Arunachal Pradesh, India. Place of Military Operation during World War II : China-Burma-India theatre. Best season to visit: October to April. The Second World War Cemetery is 6 km away from Jairampur town. Road: Good motorable road is connected up to Jairampur town. It is 139 km from Dibrugarh, 94 km from Tinsukia, 44 km from Margherita, 39 km from Ledo, 49 km from Miao and 89 from Changlang. 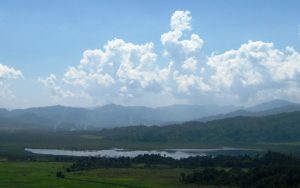 The Lake of no Return is 12 km from Nampong. To reach Nampong, Dibrugarh airport and Tinsukia rail station are the nearest points, and Margherita Railway Station is the nearest local Railway station to Nampong. Assam State Transport Corporation and Arunachal Pradesh State Transport buses ply daily from Dibrugarh and Tinsukia up to Jagun via Margherita, then one has to catch Arunachal State Transport Buses for Nampong via Jairampur. Nampong is 18 km from Jairampur. To reach Nampong, Dibrugarh airport and Tinsukia rail station are the nearest points, and Margherita Railway Station is the nearest local Railway station to Nampong. Assam State Transport Corporation and Arunachal Pradesh State Transport buses ply daily from Dibrugarh and Tinsukia up to Jagun via Margherita, then one has to catch Arunachal State Transport Buses for Nampong via Jairampur. Altitude : 350 metres above sea level. Temperature (deg C) : Varies from 35°C to 8°C. Air: Nampong is 153 km from the nearest Airport Mohanbari, Dibrugarh, Assam. Rail: It is 113 km from the nearest long distance Railway station, Tinsukia Railway Station, Assam. And 62 km from the nearest Passenger Railway station, Margherita Railway Station, Assam. Road: Good motorable road is connected up to Nampong. It is 157 km from Dibrugarh, 112 km from Tinsukia, 62 km from Margherita, 67 km from Miao and 107 km from Changlang. There is no any good hotel in Nampong. Manmao is 40 km from Jairampur. 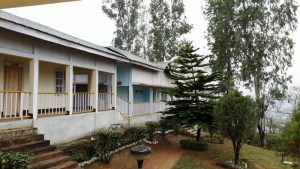 To reach Manmao, Dibrugarh airport and Tinsukia rail station are the nearest points, and Margherita Railway Station is the nearest local Railway station to Manmao. Assam State Transport Corporation and Arunachal Pradesh State Transport buses ply daily from Dibrugarh and Tinsukia up to Jagun via Margherita, then one has to catch Arunachal State Transport Buses for Manmao via Jairampur. Temperature (deg C) : Varies from 35°C to 5°C. Air: Manmao is 175 km from the nearest Airport Mohanbari, Dibrugarh, Assam. Rail: It is 135 km from the nearest long distance Railway station, Tinsukia Railway Station, Assam. And 84 km from the nearest Passenger Railway station, Margherita Railway Station, Assam. Road: Good motorable road is connected up to Manmao. It is 179 km from Dibrugarh, 134 km from Tinsukia, 84 km from Margherita, 89 km from Miao, 40 km from Jairampur and 129 km from Changlang. There is no any good hotel in Manmao. To reach Stilwell Road (Ledo Road), which start from Ledo, Assam, India, and passes through Jagun, Jairampur, Nampong, Pangsau Pass, Myanmar (Burma) and then up to Kunming, Yunnan Province, China. Ledo, the starting point of the road is connected to Dibrugarh airport, Tinsukia Railway station and Margherita Local Railway Station, which are the nearest locations to it. Assam State Transport Corporation and Arunachal Pradesh State Transport buses ply daily from Dibrugarh and Tinsukia via Margherita. During World War II, December 1942 – May 1945. Major General Lewis A. Pick. Assam and Arunachal Pradesh, India, North Myanmar (Burma) and China. Air: Ledo town is 101 km from the nearest Airport Mohanbari, Dibrugarh, Assam. Rail: It is 61 km from the nearest long distance Railway station, Tinsukia Railway Station, Assam. And 10 km from the nearest Passenger Railway station, Margherita, Assam. Road: Good motorable road is connected up to Ledo. It is 105 km from Dibrugarh, 61 km from Tinsukia, 10 km from Margherita, 45 km from Miao and 55 from Changlang. 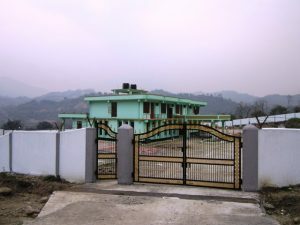 To reach Kharsang, Dibrugarh airport and Tinsukia rail station are the nearest points, and Margherita Railway Station is the nearest local Railway station to Kharsang. Assam State Transport Corporation and Arunachal Pradesh State Transport buses ply daily from Dibrugarh to Kharsang via Tinsukia, Margherita and Jagun. Altitude : 200 metres above sea level. Temperature (deg C) : Varies from 40°C to 12°C. Air: Kharsang is 135 km from the nearest Airport Mohanbari, Dibrugarh, Assam. Road: Good motorable road is connected up to Kharsang. It is 139 km from Dibrugarh, 94 km from Tinsukia, 44 km from Margherita, 21 km from Miao and 89 km from Changlang. There is no any good hotel in Kharsang. To reach Bordumsa, Dibrugarh airport and Tinsukia Railway station are the nearest points, and Margherita Railway Station is the nearest local Railway station to Bordumsa. Assam State Transport Corporation and Arunachal Pradesh State Transport buses ply daily from Dibrugarh and Tinsukia to Digboi, Assam. From Digboi one can catch any bus for Bordumsa. There are two ways to reach Bordumsa either via Digboi or via Jagun. Via Jagun one has to cross Namchik River which has no bridge on it. Therefore, no any public bus service is there; One can cross the river by having a taxi or own car with the help of motor boat. Altitude : 150 metres above sea level. Languages spoken : Singpho, Tangsa, Assamese, Hindi, English. Air: Bordumsa is 109 km from the nearest Airport Mohanbari, Dibrugarh, Assam. Rail: It is 69 km from the nearest long distance Railway station, Tinsukia Railway Station, Assam. And 50 km from the nearest Passenger Railway station, Margherita Railway Station, Assam. Road: Good motorable road is connected up to Bordumsa. It is 113 km from Dibrugarh, 68 km from Tinsukia, 50 km from Margherita, 32 km from Miao via jagun and 95 km from Changlang via Digboi. There is no any good hotel in Bordumsa township. To reach Diyun, Dibrugarh Airport and Tinsukia Railway station are the nearest points, and Margherita Railway Station is the nearest local Railway station to Diyun. Assam State Transport Corporation and Arunachal Pradesh State Transport buses ply daily from Dibrugarh and Tinsukia to Miao. From Miao one can cross Dehing River by Rope-way as there is no any bridge over the river. There are two alternative ways to reach Bordumsa either via Namsai or via Miao. Altitude : 250 metres above sea level. Air: Diyun is 176 km from the nearest Airport Mohanbari, Dibrugarh, Assam via Miao. Rail: It is 136 km from the nearest long distance Railway station, Tinsukia Railway Station, Assam via Miao. And 85 km from the nearest Passenger Railway station, Margherita Railway Station, Assam via Miao. Road: Good motorable road is connected up to Diyun via Namsai. Via Miao, it is 180 km from Dibrugarh, 135 km from Tinsukia, 85 km from Margherita, 69 from Jairampur, 20 km from Miao and 130 km from Changlang. There is no any good hotel in Diyun township.